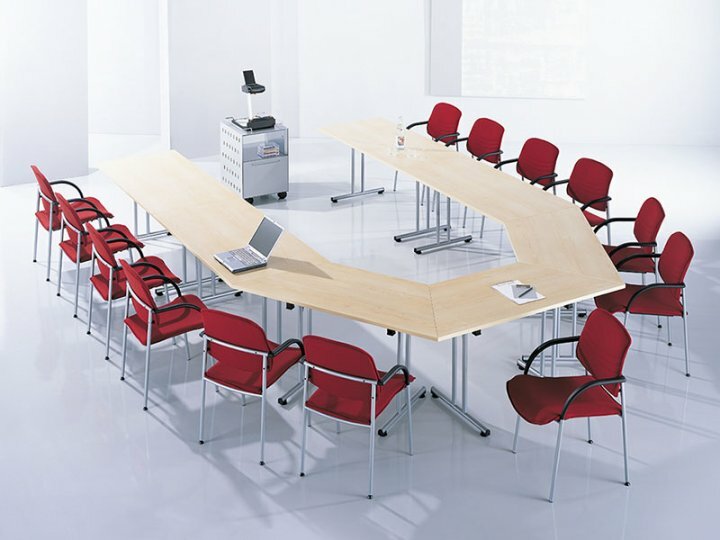 A great value range of folding meeting tables or desks available in a choice of eight top finishes and three shapes, rectangular, half moon and trapezoidal. Allows for a number of table configurations to be created easily and quickly. Detroit meeting tables are suitable for commercial use and are available from stock for a free next day delivery.